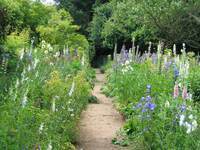 Jekyll was an artist, craftswoman, writer and gardener. 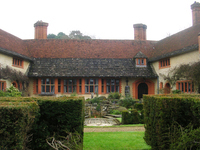 As a girl, Gertrude Jekyll lived at Bramley House, near Guildford. 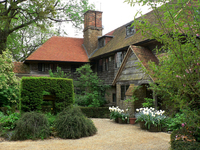 Her own house was built nearby, at Munstead Wood. Edwin Lutyens was the architect. 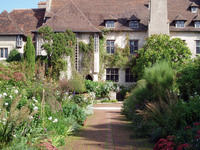 Gertrude Jekyll and Edwin Lutyens later worked together on other gardens and had perhaps the most famous partnership in English garden history. 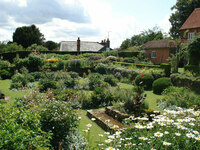 Many commentators state that Lutyens designed the garden and Jekyll designed the planting. Given their respective ages, and Jekyll's natural authority, it seems more likely that Gertrude Jekyll conceived the garden design and her young assistant worked up the details. 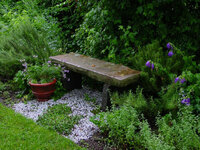 A chapter from Jekyll on garden design is in the Garden History Reference Encyclopedia.